Google Photos has been able to backup 360 videos for a while now, but the playback for 360 videos only showed an equirectangular view, that is until at some point (perhaps at the same time as the launch of Google Backup and Sync) when it gained the ability to play 360 videos in 360 view. 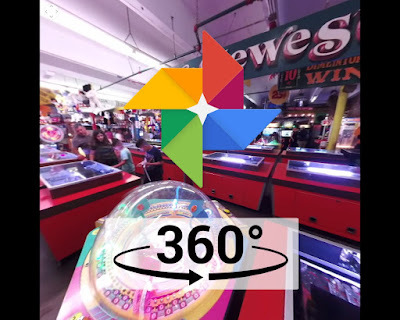 The 360 view works even on 360 videos that are already in your Google Photos collection (i.e., there’s no need to back them up again) assuming they had the correct 360 metadata when they were backed up. The new feature has two limitations: first, you can only view 360 videos in 360 view on the desktop version of Google Photos. Second, the 360 viewing window is square, regardless of the shape of your monitor. WHAT ABOUT DIRECT UPLOADS TO YOUTUBE? As you know, videos on Google Photos can be posted directly to YouTube. Previously, if you tried this with 360 videos, you would lose the 360 metadata and they would be posted in equirectangular view. I’m testing whether it will now work. I’ll update this post when I find out. Hello 🙋, I think it would be easier to understand if you state that “i.e. no VR support at this time” in “first”. I don’t understand what you mean. 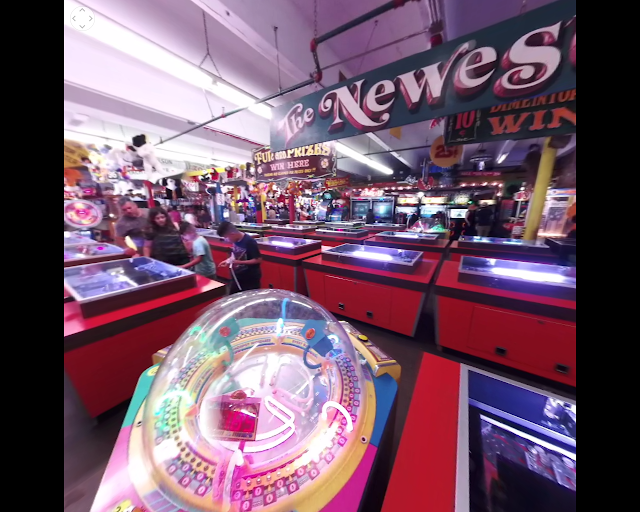 360 videos can now be viewed in 360 (you can look around the 360 video). So if that is what you mean by VR support, then there is VR support now. You use VR Viewers (like Oculus Rift or Smart phone+Daydream View) to see VR. I think you are not viewing VR when you just use a mobile device, or desktop web to view a 360 video. I thought “first” in you article means when viewing 360 videos in Google Photos on a mobile device, it lacks the “Cardboard” icon (like the YouTube app). So I made my last comment.